The wildfires that ravaged Greece have produced many tragedies, but at least for one lucky dog, there’s a happy ending. Add Greece Wildfires as an interest to stay up to date on the latest Greece Wildfires news, video, and analysis from ABC News. The 4-year-old dog who has become famous across Greece as “The Oven Dog” after he was found hiding in an outside oven of a house devastated by the deadly flames, has found his "forever home," the canine rescue organization that took responsibility for it said. Elena Dede, the founder and president of Dogs’ Voice told ABC News that the white poodle-cross has been adopted by Antonia Paraschou, a young woman with experience in looking after stray animals. The adoption papers will be signed Thursday. The 4-year-old dog, temporarily named Loukoumakis, was found cowering in an oven two days after deadly wildfires swept across the town of Mati in Greece, July 25, 2018. 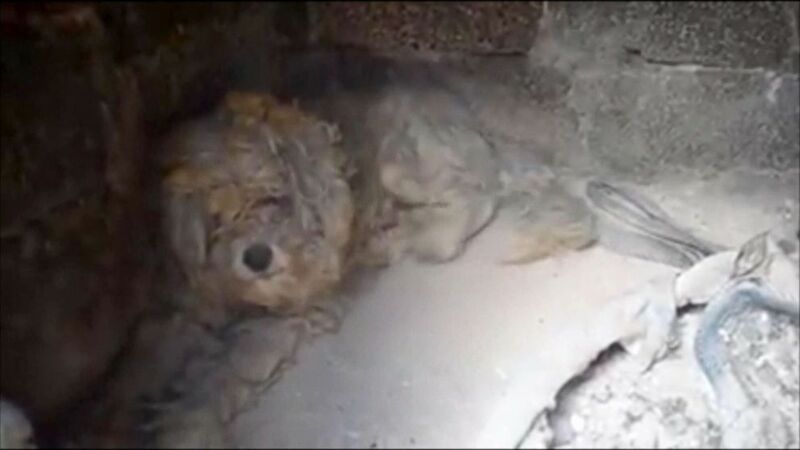 A video taken by animal rescue volunteer Artemis Kyriakopoulou in the town of Mati shows the moment she found him, cowering but very much alive, inside a large brick-built oven amidst the burnt and ashen remains of a home. The dog's fur looks matted and singed yellow, and at some points patches of skin are visible. 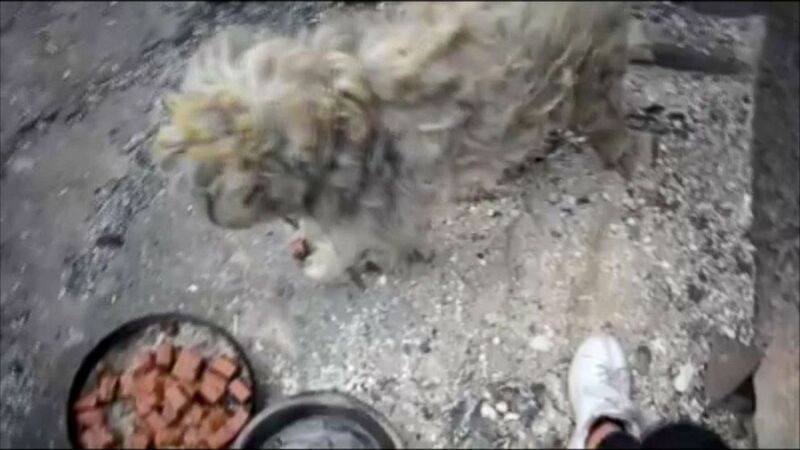 When Kyriakopoulou offers the dog a tin of food, it gets up slowly, approaches her and begins wagging its tail. The dog was temporarily named Loukoumakis by the woman who was fostering him, Diana Topali, after a traditional Greek sweet made of honey. Dede said the deadly wildfires of July 23 are not the only horror the dog had faced. When it was rescued and brought to her organization, it was obvious that the dog had been abandoned long before and spent a hard life on the streets, enduring hunger and abuse, Dede said. “When he came to us, he was a little bit aggressive because he was very afraid of people,” she told ABC News. Loukoumakis is now making a steady recovery, Dede said. Dede said the organization did its best to make up for the years of abuse by finding the best possible adopter for the dog. The Greek wildfires, which are believed to have killed at least 91 people, have proved disastrous for its non-humans as well – it is thought to have killed hundreds of pets and strays as it swept through the seaside town. Dede said more than 180 other dogs in need were brought to her in the last week.